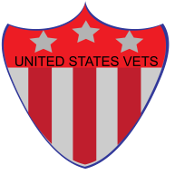 Compatriot Program - United States Vets Inc.
Compatriot – United States Veterans, willing to join other Veterans, in order to give and receive support in their lives. Sign-up below for the Compatriot Program. This commitment is ongoing and all Compatriots will receive support from United States Vets, Inc. to achieve success in their lives.